Between 2014 and 2015, Buhari and his team campaigned in poetry. They built elaborate castles in the air and seduced a distraught electorate that was reeling under the ponderous weight of former President Goodluck Jonathan’s stultifying ineptitude. But after ascending to power, they have elected not to govern in prose. They chose, instead, to govern or, more accurately ungovern, in drama—drama of endlessly flippant blame games, ceaselessly brazen falsehoods, tedious propaganda, unremorseful bigotry, crass hemorrhaging of the economy, crippling national fissiparity, in-your-face hypocrisy and fraud, setting the bar of governance to the lowest imaginable watermark, and embarrassing idiocy at the highest reaches of government. What Cuomo’s famous quip fails to capture is that you campaign in poetry only when you have no record to run on, when your past—or at least your immediate past, given our fondness for amnesia, particularly in Nigeria— can’t be used as the touchstone to judge the tenability of your promises for the future. Buhari’s past was a dim, distant, almost indecipherable, memory for the vast majority of voters in 2015, so it was easy for him to get away with campaigning in poetry. Nevertheless, the Buhari team, having plunged the nation to the nadir of despair and crushing poverty through more than three years of unexampled ungovernance, can’t possibly campaign in poetry again. Nigeria’s unprecedentedly dizzying descent into the bottom of global rankings in almost every human index—poverty, integrity, commitment to reducing inequality, world security and police, etc.— since Buhari became president is an ever-present testament to the rank incompetence of Buhari and his team. It’s campaign season again, and since the Buhari team can’t campaign in poetry now without sounding like sassy scammers, they are campaigning for reelection in drama, the drama of undisguised ethnic bigotry. 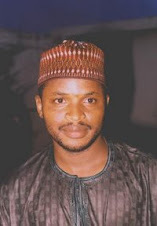 Several people had prognosticated that since both President Muhammadu Buhari and former Vice President Atiku Abubakar, the main contenders of the 2019 election, self-identify as Fulani Muslims, opportunistic exploitation of our primordial fissures for political gains won’t be an issue this time around. But the Buhari campaign has found a way to introduce and centralize ethnic and religious bigotry as a campaign issue since a focus on substantive issues would bring the soft underbelly of their dreadful failures and unblushing prevarications into bold relief. So they are picking on Peter Obi, Atiku’s running mate. 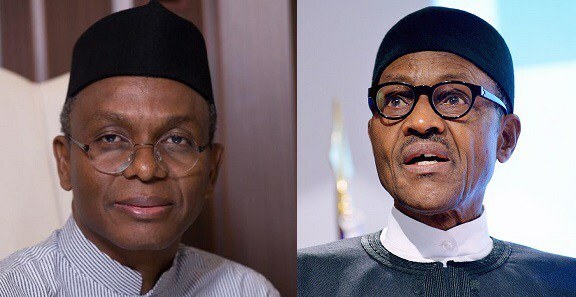 Kaduna State governor Nasiru El-Rufai—who has the dubious honor of being the first Kaduna State governor to pick a running mate who shares the same faith as he, in a state as fragile and religiously polarized as Kaduna—is leading the pack. 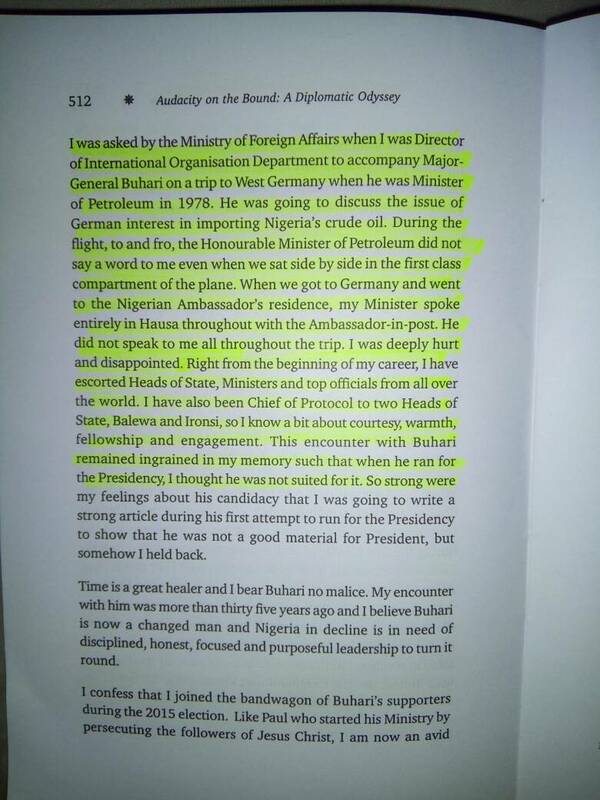 He called Obi a “tribal bigot” (itself an ignorant, uneducated choice of words) because he supposedly once wondered what El-Rufai was doing in Anambra State during elections instead of being in “Katsina State.” He also accused Obi of “deporting northerners” in Anambra State. Several people have impeached the credibility of these claims, but even if the claims were true, how do they advance the conversations about the 2019 elections? Obi is just a running mate. In any case, didn’t Babatunde Raji Fashola, a “super-minister” in the Buhari regime, also “deport” northerners and Igbos from Lagos? Haven’t certain Igbo governors also deported other Igbos that weren’t native to their states? Why should that be a campaign issue when the economy is in the toilet? Perhaps, the most ironic social media amplifier of this campaign of bigotry is a certain UK-based Kayode Ogundamisi who, as Secretary General of the O’odua People’s Congress that murdered thousands of northerners in the Southwest, threatened on March 7, 2003 that the Yoruba would secede from Nigeria if Buhari was elected president because Buhari’s campaign, Ogundamisi said, was funded by “Islamic fundamentalist groups.” In several news interviews, which are archived on the Internet, he owned up to, justified, explained away, minimized, and defended the mass slaughters of northerners in the Southwest by OPC. He is also an unapologetic, knee-jerk Igbophobe. This is a particularly treacherous terrain for the Buhari team to tread because their principal is the most vulnerable when it comes to issues of ethnic and religious tolerance. 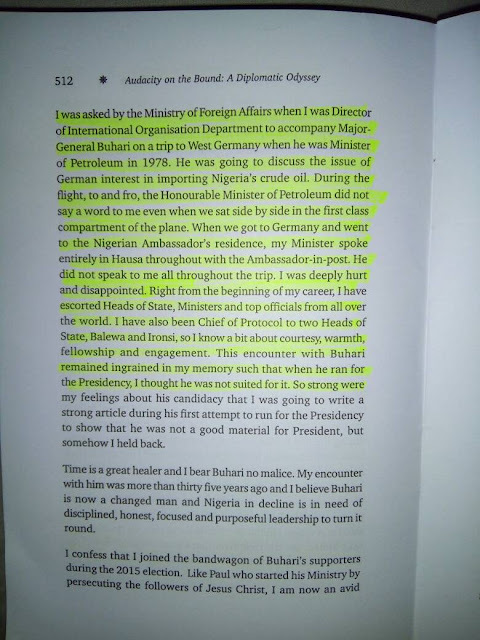 Buhari’s personal politics and symbolic gestures both before he became president and now that he is president conduce to the notion that he is an unabashed chauvinist. Before he was elected president, he made no pretense to being anything other than a “northern” subnationalist, which has no precedent for a former or incumbent Nigerian president or head of state, at least in public utterances. Buhari sees Nigeria in mutually dichotomous, conflictual terms. As I revealed in my April 21, 2018 column, even as president with a national mandate, Buhari can't resist the unhelpful, needlessly divisive "we-northerners-versus-they-southerners" rhetoric. In a December 2017 video, for example, Buhari thanked Kano people for coming out en masse to welcome him and said, "saboda yan kudu su san har yanzu ina da gata." Rough translation: "... so that Southerners can see how favored I still am." That was gratuitous divisiveness. He constructed “southerners” as the alien “other” before his Kano audience. That’s indefensible, gratuitous dichotomization of the country by a sitting president. Instances of Buhari’s condemnably sub-nationalist proclivities in the irremediable catastrophe he calls government are limitless. If his campaign wants to go the route of ethnic baiting, he would be smashed to smithereens. But the last thing Nigeria needs now is the exacerbation of our fault-lines from the agents of the presidency itself in the name of electioneering.